Monday 5th March 2018 – Attended the Skegness Twinning Association's AGM as their President to oversee their elections. Held at the North Shore Hotel. 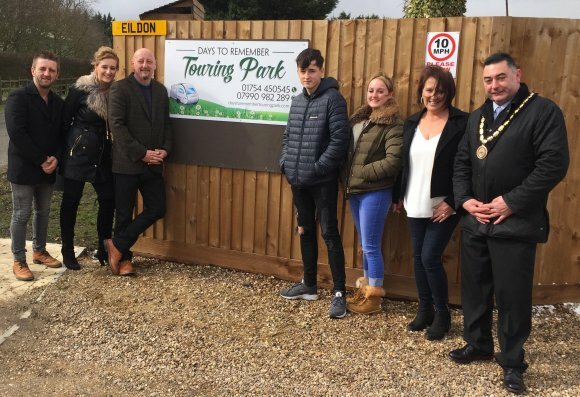 Saturday 17th March 2018 – Cut the ribbon to open the new "Days to Remember" touring caravan site in Ingoldmells. Saturday 17th March 2018 – Was present at the opening of the new Giant Wheel on North Parade, Skegness. Friday 23rd March 2018 – Attended the Grand Opening of Cycling Without Age at the Grosvenor House Hotel. Saturday 24th March 2018 – Attended the free concert given by the Skegness Community Orchestra at St Clements Hall. Sunday 25th March 2018 – Was present at the start of the Annual Motorcycle run to Pilgrim Hospital Children's Ward. Sunday 25th March 2018 – Rode on the Giant Wheel on North Parade and welcomed them to the town. Tuesday 27th March 2018 – Was present at the National Coast Watch base in Winthorpe, Skegness during the visit from HRH Princess Anne. Thursday 29th March 2018 – Opened the new Curry's PC World store on Heath Road.